Hundreds of millions of stars are contained in The Milky Way. ← The Olinguito: A New Species of Mammal is Unveiled. since it is considered that the center of our galaxy is a black hole, is it a known possibility that one day our solar system might meet its end & dissapear into that black hole? Yes. It is a possibility. We can see many of the things we have discussed in class, such as C.H.N.O.P.S., DNA, the first organisms, and much more. It also has great music! The video also shows a theory about what might happen when our world reaches its end (I’m not gonna spoil the theory, so check it out for yourselves!). Check out The Drake Equation—via Google. I’m not gonna spoil it for you, but I believe you’ll be interested in it. The Search for Extraterrestrial Life is a serious scientific endeavor that could potentially change the human experience forever. Great link, Arnaldo. Great video. I liked how they used Ocarina of Time (Zelda) as an example of digital technology. Great contribution , Arnaldo. Thank you, and I look forward to talk more about astronomy and other fields of science in our class! It’s pretty mind-blowing to see just how vast the universe is, but it can also be very hard and confusing to attempt to imagine such large distances between our planets, much less calcute it! It got me thinking about how people have managed to do it (especially in ancient times when present day technologies hadn’t even been invented yet), so I researched it. I discovered that many ancient philosophers measured the distance between planets by observing the outlines of the stars and planets in the sky, and how those discoveries have helped us understand our universe better and form more theories. The universe is both: mind-bogglingly big and infinitely small (I encourage you to google ‘quantum mechanics’). But, as with every scientific endeavor mankind has tackled, we have tools to enhance our built-in equipment: radiotelescopes to augment our hearing; powerful telescopes to enhance our sight, etc. And these enhancements—via the application of science: technology—show no sign of slowing down. I have always thought that the universe itself is very hard to comprehend. I like this subject a lot yet sometimes its hard for me to picture the whole universe. Its hard for me to believe that there is so much outside our atmosphere that we are not able to reach. I found this link on such “private trips to the moon” and honestly If I had the money and experience I would consider “taking a vacation to the moon”. Throughout history, people have used a variety of techniques to help them answer the questions ‘How far?’ and ‘How big?’ is the universe. 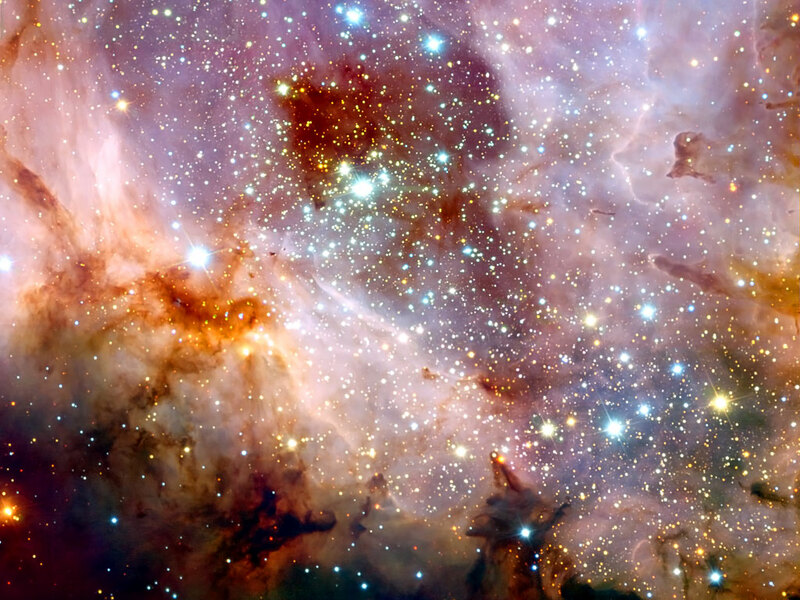 Generations of explorers have looked deeper and deeper into the vast expanse of the universe. And the journey continues today, as new methods are used, and new discoveries are made. When we leave the solar system, we find our star and its planets are just one small part of the Milky Way galaxy. The Milky Way is a huge city of stars, so big that even at the speed of light, it would take 100,000 years to travel across it! All the stars in the sky, including our Sun, are just some of the many stars of this galaxy, along with millions of other stars too far to be seen. There are billions of stars and galaxies, concluding that the most accurate answer for ‘How long?’ and ‘How big?’ is (should be) infinite. This video is amazing. Its funny that the idea the of Earth being the center of the Universe–an idea as old as science; a Ptolemaic idea–resurfaces again the more information we get about the universe. I encourage you to Google the Ptolemaic model of the world, so that you can get a sense of how far we’ve come. I’ve heard many times that the universe was so small that it was smaller than an atom. How can this be? For sure atoms can’t be made smaller than an atom? So why do they say this? The universe includes everything. So it is both: immensely big and immensely small. Actually, it can be said that the universe is in each and everyone of us. We are made out of it; we are part of it; and, most importantly, we are aware if it. So, roughly put, we «are in» the universe. And we «are» the universe. We can understand a lot about it through cosmology and natural sciences. But it’s vastness and infinity can only be assessed through models such as the one that Numbers Sleuth designed. Why cant we investigate other galaxies if there are any? or at least send a type of mechanical device to another galaxy to find out more about it? Who knows maybe we can find even more planets and maybe one like ours. I think it would be a great investigation or is it just all a lie and the galaxy is really a reflection of us but we still haven’t understood it. I know it sounds crazy but since you said we “are in” the universe and we “are” the universe well really any thought towards that argument is possible. We can see them by using powerful arrays of radio telescopes around the world, but were are far from venturing to another galaxy. We have just–this very year–reached interstellar space with a probe. The universe may be huge and eternal for others but there are still theories that no matter how big it will all end. As said before someone said that there may be a black hole in the middle or that it will appear out of something and destroy us and the teacher also said that we “are” the universe, that statement may also be interpreted that in the whole universe there i energy and heat and we ourselves, the organism, use this so this is another interpretation for this. There is a theory that someone mention to me that instead of dying the black whole there will be a “Big Freeze” which is another theory for the end of the universe, since the universe has fixed amount of energy, the energy depletes so the universe slows down and loses heat because heat is crated from energy particles and everything will stop and since there is no energy or heat every organism will die and the universe will stop. This means that there is still room for cosmology, astronomy, and physics to grow. There is a lot about the universe that we still don’t know. And that is a very good thing–especially for science. Space is very big and it keeps expanding. With space being that big you wonder about many things, such as: What objects or things are in space that we have not yet discovered? Over time we will have discovered some of those things but some will remain a mystery. In the video, we learn information of the infinity of space. Right now we can see up to a certain point. We know for sure that the universe is expanding, therefore creating more distance between galaxies. 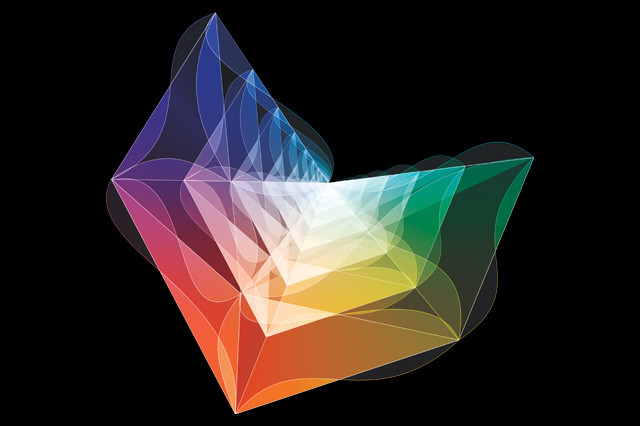 What we don’t know is if the universe contains edges or if it is really infinite, as some say. If the universe keeps expanding, we would probably not be able to see beyond the point we see right now. Right now space is something that we will keep observing for years and it is an important key of life, yet it is a matter of fact of discovering it for many, many years. If 100 years ago we didn’t even know there were more galaxies aside from ours, it begs to question, what we will find 100 years from now. Great video, Adriana. Your question is very important: What things are out there in space that we have not yet discovered? In the last 15 years or so, there has been a revolution in astronomy and cosmology; scientists are discovering planets–exoplanets–on an almost daily basis. When I was your age, about 20 years ago, it was almost unimaginable to think of planets beyond our solar neighborhood (even though scientists suspected that planets orbiting stars should be a common occurrence in the universe). It is entertaining to see such a great website about our universe and how useful it is to really appreciate where we live and what is around us. I really like how when you click for example the building, the map jumps the farthest away possible and then it goes to the building. You can see clearly how little and insignificant some things are compared to our surroundings. Although there are many theories to how will the world end, there is one that can be more credible right now due to global warming. The theory’s main point is that the solar flares will reverse the poles and the earth will fry. Temperatures are changing drastically and quickly. Who know if in a hundred years everything gets worst than what it already is and the theory proves to be correct? We may not be able to see it come true or not, but we can start preventing it to happen by tacking more cautious decisions toward what might affect the ozone layer and cause pollution. The sad part is that global warming is not reversible, but we can stop it. This website helps you really internalize how extraordinary the universe is and the possibility we could lose of learning more about it or visiting other planets by not respecting the Earth. I find it so amazing how we have evolved to a point where getting a view of the universe is just one click away. We may be small but what we have accomplished is something great. Scientists put a lot of work into their studies which is very admirable. Most of the discoveries made are thanks to the advanced tools that have been developed with time. One of the world’s biggest observatory is in the city of Arecibo, here, in Puerto Rico. In this link > http://www.naic.edu/public/descrip_eng.htm, you will be able to find some more information about how the observatory came to be, and in this one > http://www.naic.edu/public/discovrs.htm, you will see some of its accomplishments. To think that we are a relatively new species—about 3 million years old. Just imagine how much ore we can accomplish if we manage not to kill each other in the next 3 million years. Beautiful images. The first nebula of your links to your comment, is popularly known in the scientific community as “The Eye of God.” This has to be one of the most stunning images from space ever captured. I believe the universe itself is one of the topics that leads us most to curiosity. Most of us ask ourselves: how big is the universe? The universe is enormous! It’s vastness can’t yet be comprehended by our human brain due to the fact that it is so complex and difficult to understand. There are many considerable reasons to believe that the universe is infinite or that it goes on and on beyond the limits of what we can see. Sooner or later the answers to all these questions will be answered with further research and discoveries. Great video! This goes to show you that, no matter how difficult the task, how many limitations are due to our human condition, we will always aim to measure and ask questions about the seemingly impossible. This is possible through the nature of science. How big is the universe? Are we the only ones that have life ? These are some of the question that make this subject so attractive to people because there is no precise and determined answer for them. When it comes to size, scale, and age, the universe is, well, out of this world! Scientists have had to come up with whole new ways to measure astronomical time and distance. Even when the answer to the “How big is the universe” question may never be answered, nevertheless, we have to keep on asking it. Thus is the nature of science. Light is a really essential part in determining the Universe’s age and size. Cepheids are stars which are very stable and have predictable brightness which in turn helps astronomers determine their distance. These stars have been used to make distance measurements for supernovae (which have given a measurement for the scale of the Universe). The telescope Hubble was the tool that helped astronomers come to these conclusions and discoveries. In other words, Hubble made a huge progress, but today the age of the Universe is known with much higher precision than before this telescope. I’ve always known that the universe is big but I would have never imagined that it was this huge. I find this topic of the universe and galaxies very interesting. Just considering that one day the planet Earth could dissapear is scary but at the same time amusing. Knowing that the planet is rotating and things are floating in the sky around our planet is interesting. It’s also astonishing how we don’t feel the movement of Earth. All this facts and ideas are fascinating. This are details that we don’t give so much importance yet are amazing! After this blog and the “tour through the universe” we took in class which started from the smallest possible part we know, the atom, to the biggest, the universe, I got a much better perspective of the universe. I had never realized we were so small. Today in class we also did an activity related to the proportion of life. I found out I was clueless on how things are relative to each other in size. I believe realizing our place in the universe helps us humans understand that we are not the center of the universe and that things don’t revolve around us only. Discovering that we are so small awakens curiosity to learn and understand what else lies outside of Earth. It helps you grasp the high possibility their is life outside of Earth that we don’t know about. In this link it explains how small Earth is compared to the universe and the probability that life exists elsewhere. This other link also explains hoe small we are. I don’t know why the links got erased once I posted the comment so here they are. Thanks for the links, Carla. It really amazes me how there are so many things we can not see because they are either too small or too far away. This post really makes me think about all of the things that are yet to be discovered because some things are just so small that I personally think that it is impossible that every organisms has already been discovered. Here is a link to a video which I think can help even little kids understand the inmensity if the universe. Even when there are limits to our human brain, it never ceases to amaze me how much knowledge we have gathered, and how much–a whole lot more–we’ll never be able to grasp. This is a topic that really grasps my attention. I have always wanted to know exactly how big our universe is and know if there exists anything else than just planets, stars, comets etc. It’s really amazing knowing that our universe is enormous and also very interesting when people find new thing in our “milky way”. 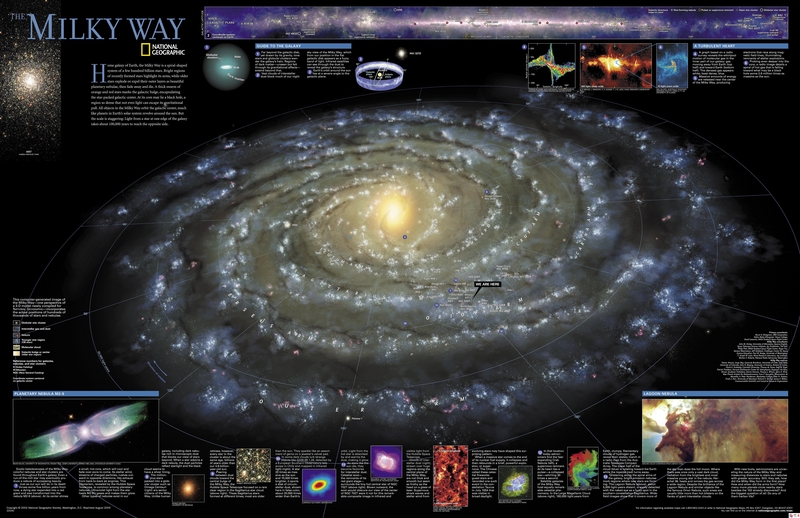 I’m very curious to know if we are the only organisms that exist in our galaxy and I would love to see and go to space to have the unique experience to explore our universe but that is relatively impossible for me. Astronomers state that there are several planets that support human life. How would life be if we could travel to those planets and live there? In this link explains some reasons about why it would be difficult for us to live in another planet. When we think about the vastness of the universe it is difficult to ignore how tiny we and our world are. This fact can be pretty scary considering that it can cause some existential questions in some people. Once while I was stargazing in my backyard with a friend, my friend to me (and I’m paraphrasing): “when you’re looking up at the sky like this, think of it as looking OUT instead of up.” This made me picture Earth as a sort of bubble in which we, as conscience beings that are aware of their aliveness (not sure if real word), carry out our lives without always knowing what for. At this point there could fall in a discussion about the purpose of religion, but that is too controversial a topic, not to mention a whole other subject entirely. Anyway, it is all mind-boggling. After seeing this blog post, I can’t help feeling small. It is incredible how big our universe is and it keeps expanding. I don’t think we as humans will ever be able to fully understand how the universe works because it is so enormous and complex. Thinking about the size of the universe made me wonder if there are other planets that could support life, and if so, is there any intelligent life in them? We might never know. Before I searched for information and videos about the universe I didn’t know it was that big. The universe is everything that exists. It contains everything. This video that I found takes us from the Himalayas through our atmosphere and the inky black of space to the afterglow of the Big Bang. Before I “magnified the universe” I really wasn’t able to comprehend the vastness of what makes up space. To begin to be able to understand I researched about the famous Big Bang. It is a theory that says that about 13.7 million years ago all matter was compacted into a very small ball with infinite density, and intense heat called a singularity. The singularity began to expand and the universe came to be. This information explains the origin of our universe which includes planets, stars, galaxies, light and even time. This all seemed so abstract to me but the Number Sleuth website really helped to put things in perspective. It is truly astonishing how our galaxy, the Milky Way, contains so many things like giant nebulas and a solar system and it is just one part of our universe. This post led me to want to research about what scientists think about the possibility of multiple universes. The theory of multiverses states that many universes exist parallel to each other. There are several ideal universes within the theory of parallel universes. One theory is that space is so big that because of rules of probability, surely there are other planets identical to Earth. Another theory is that one is continually in contact with specific universes, every moment in one’s life and every decision, causes a split in one’s “now” self into an infinite number of future selves. All of which are unaware of each other. Multiverse theory is one of the many alternatives for understanding the very nature of reality. It has gained a lot of popularity thanks, in part, to popular and literary sci-fi. But in the last 5 years it has slowly outgrown its status as a fringe theory of cosmology. Physicists in the Large Hadron Collider have found sort of a road block, thanks in part to a remarkable discovery: the Higgs Boson (incorrectly referred to as the “God Particle”). The thing is that this discovery has not yielded a bunch of other subatomic particles that scientists were expecting. The Higgs Boson–a subatomic particle that basically gives matter its mass; it is responsible for the existence of neutrons and protons–completes what is known as the Standard Model; which began with Isaac Newton and reached a climax with ALbert Einstein’s work on the nature of light and energy. So, the Standard Model falls short; it fails to explain a lot of weird phenomena that scientists have observed. This is when theories such as the Multiverse Theory can step into the scientific limelight. It is truly amazing how big the earth seems to be from our point of view when in reality it makes up the tiniest fraction of the whole universe. When I think of this, I wonder how is it possible that Earth is the only known living planet? With such a big galaxy and such a big universe, how is it possible that only one of the planets in it has sustainable life? Check out the reply video I uploaded to Gabriela’s comment. It might begin to answer your questions. While I agree that the vastness of the universe makes us seem very small and insignificant, I find it fascinating that so much can happen in such a minuscule part of our universe. We as humans have had a whole history and within that history are individuals with their own separate thoughts and lives and I feel like we can never grasp how huge that really is. I also think that we have a hard time grasping what’s happening inside of us, yet not many of us think about how we are really just as small as every single cell in our body when compared to the rest of the universe. It really makes me think of everything that could be happening in the universe, whether its something as small as some bacteria on a distant planet or a whole other society. I strongly believe that your comment is the whole point to education–in fact, it might be the whole point to life! Wow, Ashmara. This is amazing. Everyone in class, not only in class, but I mean EVERYONE, should see this very simple and elegant animation. It reminds me of the cosmological calendar we have pasted on our classroom. Thanks for the link. I will use this for the rest of y career as a teacher. A new search just found out that Mars in fact can’t hold life or develop it, but I believe this search for the unknown can’t stop here. I believe there is so many possibilities as to what is out there and how it can help us progress. Do you believe there must be something else out there giving us company or are we just wasting our time searching for the impossible? This link talks all about life outside of Earth: its possibilities, how to find this, and possible places to find it. Check out the Drake Equation, Marie, via Google. By knowing the true magnitude and scales of the Universe one can really understand the mystery that is life. Science still has a long way to go, on terms of discovering what really surrounds us humans. It makes one doubt the significance of our society, and reconsider the importance or difference we make. It reassures the thought of another planet with beings, because surely Planet Earth cannot be the only planet on this immense system capable of sustaining life. The link below supports my way of thinking. Great article, Juan. I enjoyed it a lot. could we really answer these questions? : how big can the universe be? the universe is so huge it cant be made just for us. is there life in another planet or in another galaxy? when you actually think about it is is a very mysterious and fascinating topic with many questions that we simply cant answer. It really makes me think of everything that can be happening in the universe, whether its something as small as some bacteria on a distant planet or a whole other society. I think we cannot give single, black & white answer to these questions. But I guess that’s the point of science: to design better questions instead of trying to find an answer. I enjoyed this post because it makes you think about your place in the universe. When seeing all the things that are so much bigger than you, it makes you feel so small in comparison. Then, I saw the Neil deGrasse Tyson video in the SPONCH post, and in this video he says that we are made up of atoms that once made up stars, and this made me feel big and connected to the universe. I realized that it all depends on your perspective, maybe we are small compared to a lot of things but there are also a million things that are so much smaller than us. I would like to begin this blog post with a quote I found from Henry David Thoreau, “The universe is wider than our views of it.” I included this quote not only because I agree with it but also because in this blog post this is exactly what is reflected. The universe is vastly immense, it goes on and to think we haven’t even been to all of it! With all the technological advances in the 21st century, mankind hasn’t even been to Mars, which is in our same solar system. Although there is a space and time interval too large for us humans to travel through space, I believe that space probes help us out in that form. In conclusion I think that what Henry David Thoreau was trying to say was that the universe is far too big to comprehend, it is much bigger than what we expect of it and that there is still so much to learn about it. Sometimes we believe that where we are situated in the world is where it revolves, and we are entirely mistaken; we must keep that in mind and be open-minded about this and other universal concepts. This post reminded me of the other post of the Galaxy Song. I, personally, love these posts because they remind me that we are just a little dot in our vast galaxy. We are just one of the million galaxies that exist in this universe. Although, we have already learned that there is liquid water on Mars, we still have not even gone there and we do not know what it holds. This is just one of the many planets we have in this galaxy. After you see the infographic you can’t help but have various questions like: what other planets could have life in them? Are they similar different? Do they know we exist? Are they older or just starting? These are just a few questions of many that come up when you think about the universe as a whole. It is really amazing how something can be so big and with so many planets and galaxies in it. And you immediately feel excited and optimistic about what answers in the future can help us understand more and answer most of our questions. This post reminded me of the other post of the Galaxy Song. I, personally, love these posts because they remind me that we are just a little dot in our vast galaxy. We are just one of the million galaxies that exist in this universe. Although, we have already learned that there is liquid water on Mars, we still have not even gone there and we do not know what it holds. This is just one of the many planets we have in this galaxy. After you see the infographic you can’t help but have various questions like: what other planets could have life in them? Are they similar different? Do they know we exist? Are they older or just starting? These are just a few questions of many that come up when you think about the universe as a whole. It is really amazing how something can be so big and with so many planets and galaxies in it. And you immediately feel excited and optimistic about what answers in the future can help us understand more and answer most of our questions.